Medical science is an incredible field that has enabled millions of people to enjoy newfound quality of life, even in the aftermath of grave illness or injury. Joint replacements, prosthetic limbs, dental implants, and even 3-D printed organs are just a few of the breakthroughs revolutionizing medicine today. Similar advances have been made in the field of eye health. Nowadays even debilitating vision problems like glaucoma and cataracts can be treated with a combination of preventative care and surgical intervention. However, there are limits. Unlike some of your other bodily organs, your eyes cannot be replaced. Ophthalmologists recommend regular eye exams to ensure your vision isn’t deteriorating, particularly as you age. But between visits with your eye doctor, what can you do to prioritize your eye health and help preserve your vision? As it turns out, quite a bit! The following is a list of helpful tips from Florida Eye Specialists and Cataract Institute for how you can help care for your own vision at home. Most of us underestimate the extent to which we tax our eyes with everyday activities. Between the amount of time we spend staring at various digital displays and the risks posed by UV damage, we inflict a lot of punishment on our eyes, and that can have adverse effects on our vision. So what are some steps you can take on a daily basis to make eye care a priority? 1. If you’re outside, wear sunglasses. UV exposure has been linked to a multitude of vision problems including cataracts, pterygium (growths on the eye), and even certain cancers. Fortunately, you can help reduce your risk of UV damage by wearing sunglasses not only on sunny days but any time you leave the house. Just as it’s essential to protect your skin with sunscreen year-round, it’s equally important to protect your delicate eyes with UV-blocking lenses. For added protection on especially sunny days, add a wide-brimmed hat. 2. If you wear contact lenses, follow your doctor’s instructions to the letter. In general, contact lenses are very safe to wear, and most users report no problems. 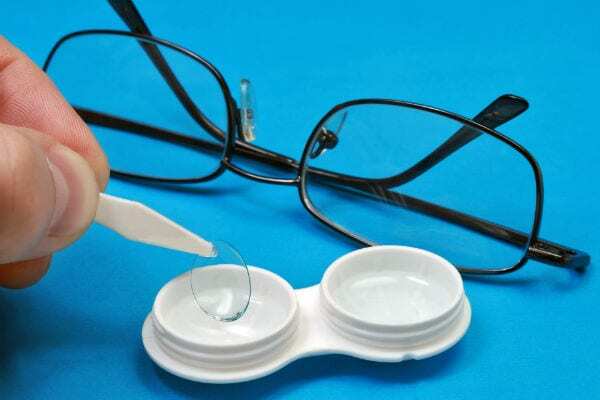 However, if you fail to clean your lenses regularly, wear them too long, or don’t replace them as recommended, you could be putting yourself at needless risk of infection. Make sure to clean your contact lenses before and after each use and store them properly between uses, and throw away expired lenses as directed by your eye doctor. 3. Give yourself a break during screen time. Television, computer, and smart phone screens haven’t been shown to cause lasting damage to the eyes, but they can certainly cause eye strain, blurred vision, and headaches, particularly during prolonged use. To avoid discomfort caused by looking at a screen for too long, try dimming the brightness, blinking frequently, and taking breaks as needed to focus your vision elsewhere. 4. Prioritize your overall health. Your vision is part of the same elaborate network governing your total health. If the rest of your body is unhealthy, your eyes are at risk of poor health, too. You can help lessen this risk — and minimize the potential side effects of chronic health problems like high blood pressure and diabetes — by eating a nutritious diet and exercising regularly. 5. Always use protective eye wear. Whether you’re working on a home-improvement project, trimming trees in the backyard, mowing the lawn, playing contact sports, or using power tools like table saws or blowtorches, it’s essential to project your eyes. Make sure to always use safety glasses, goggles, or face masks designed for whatever task you’re performing to avoid injury to your eyes. 6. If you smoke, quit. Besides posing numerous other well-documented health risks, smoking significantly increases your risk of certain vision problems including cataracts, macular degeneration, and optic nerve damage. If you don’t have enough good reasons to quit already, consider your vision one more. These are just a few ways you can begin to make your eye health a priority outside of your doctor’s office. Please note that these tips should not be considered a substitute for medical treatment. For further information or to schedule an appointment, please contact Florida Eye Specialists and Cataract Institute.